Beginning April 9, Barnes & Noble College will take over management of the formerly self-operated Clovis Community College bookstore. Director of Marketing and Community Relations for Clovis Community College (CCC) Lisa Spencer said the change in management will save both the college and its students money. Director of Auxiliary Services and Bookstore Manager Jacque Ochs said the change in management comes after the administration examined the services the bookstore offered and made a request for contract management. Cash for Books – Our program will make it easy for CCC students to save money on their textbooks. With convenient in-store buyback, students will receive up to 50 percent of the purchase price for their old textbooks. Digital Textbooks – As a leader in digital offerings, we provide thousands of convenient, money-saving titles in digital format to suit those students who would prefer eTextbooks to printed copies. 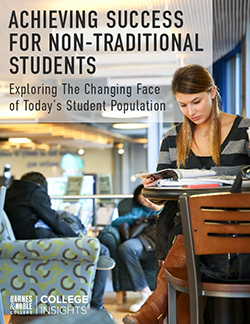 And, to manage all of their digital content, notes and course materials, students can download Barnes & Noble’s free eTextbook reader application NOOK Study. Rental Program – Our multi-channel rental program offers yet another textbook option while saving students more than 50 percent off the cost of buying a new, printed textbook. The remodeling, which will take place over the summer, will include a new floor plan, shelving, new seating area, paint and carpeting, as well as a more extensive convenience snack section that will offer soft drinks. Founded in 1961 as a branch campus of Eastern New Mexico University, Clovis Community College is located in Clovis, New Mexico on 100 acres. The two-year school is a higher education institution offering instruction at the associate’s degree level in nursing, accounting, drafting and design technology, education and more. Barnes & Noble College operates more than 640 of the finest campus bookstores in the country, serving nearly 4 million students and more than 250,000 faculty members. We’ll use that experience and perspective to bring Clovis Community College “what’s next” in campus retail and education content. Visit bncnews.com for updates and news every week.